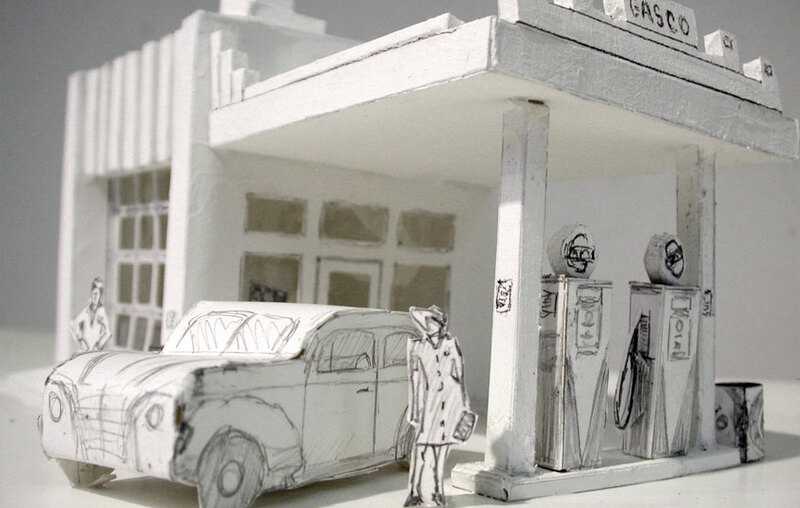 Exploration of 3D set maquette and conversion into 3D model. 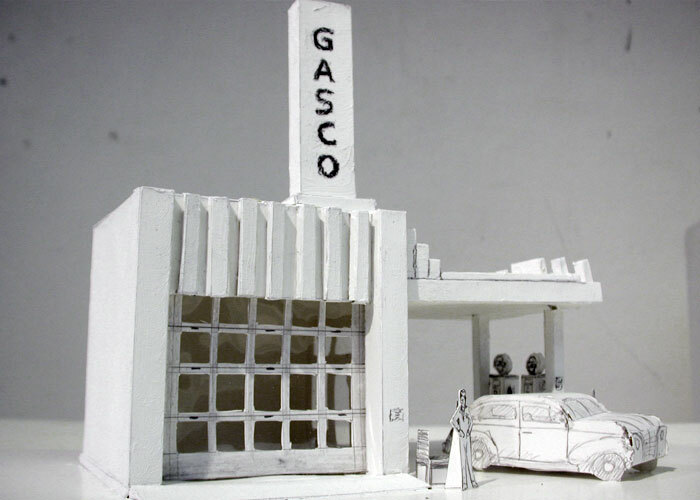 Concept: The design for this project revolved around a one act play in a rural gas station during the 30’s. 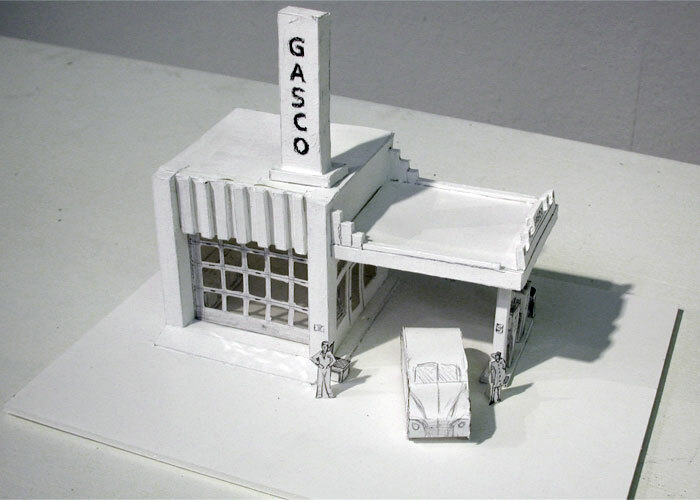 Sketches were completed and led to a small model. As an extension of the project, I began to model the elements in Maya to explore the idea of performing the play as a short animation. 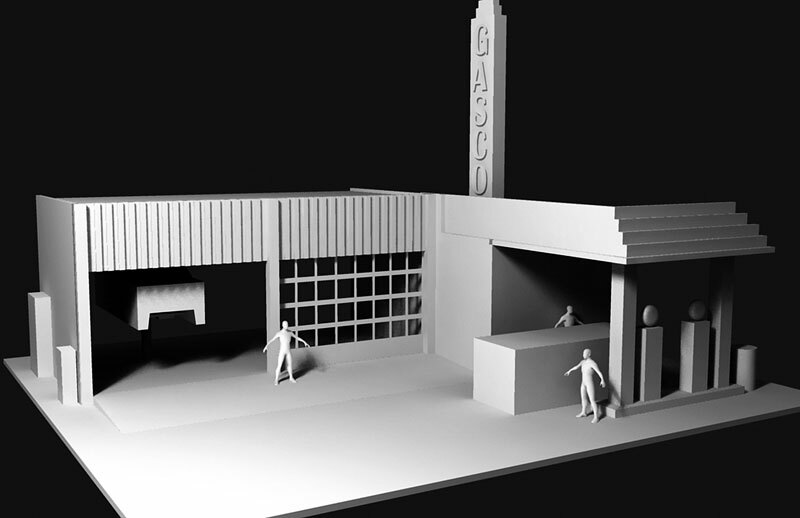 Pre-production assets produced with Photoshop, Silo, and Maya.